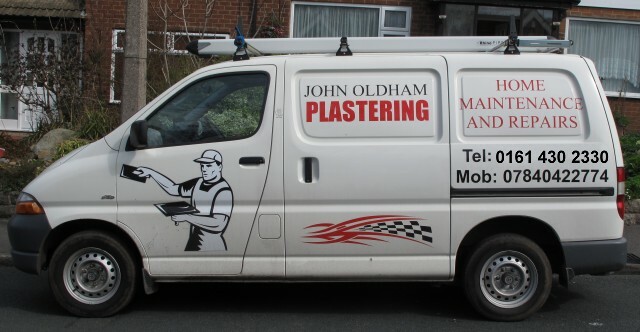 John Oldham is a time-served plasterer working out of Bredbury in Stockport. With over 32 years of experience plastering in the Marple, Mellor, Romiley, Bredbury, Woodley and Offerton areas of Stockport, John has a well established reputation as a great plasterer with much of his work coming via satisfied customer recommendations. Following a spell living in Buxworth, John has also developed a great reputation as a plasterer in the High Peak areas of Buxworth, New Mills, Chinley, Chapel-en-le-Frith, Furness Vale and Whaley Bridge. After relocating back to Bredbury in 2016 John would like to focus on plastering work closer to home in Stockport and the nearby areas of Gee Cross or Hyde but is happy to continue working in the High Peaks too. John specialises in large and small domestic plasterering jobs and, unlike many plasterers, is very experienced at working in domestic situations where cleanliness is of great importance to the client. He is also covered by public liability insurance for up to £2M! As well as being a great plasterer who will give your rooms a fantastic finish, John has built a reputation for being honest and trustworthy too. As you can see from his testimonials, customers are often happy to leave John with the keys while they are at work. He is also very competitive, particularly on those smaller jobs that many plasterers aren't interested in. John is also happy to tackle studwork, small building alterations, maintenance and building repairs in your home too. For a free competitive quote and to meet John and decide if he's the plasterer for you call one of the numbers below or get in touch via the Free Plastering Quote and Enquiries page. John is not one of those tradesmen who never call back - he'll tell you if he's too busy! Here's John's most recent testimonial. Visit the Plastering Testimonials page for more. This job was for Mags in New Mills. I had been recommend to Mags by a regular client, she wanted her back bedroom walls and ceiling reskimming to create a flat finish so they would complement her art work. Having prepped the walls and ceiling the previous day with febond bluegrit, I reskimmed all to a flat finish leaving the walls smooth to paint. John was a super clean worker and there was hardly any mess! John Oldham was recommended to me by a friend. I wanted some plastering work doing before Christmas, but it was quite short notice. John provided me with a fair quote, got the job done quickly and efficiently. I was dreading the mess and the dust that would fill the house based on previous plastering jobs I have had done, however John was a super clean worker and there was hardly any mess! I found John to be honest and trustworthy, I had no qualms about leaving him in the house alone to get on with the work. The work was completed to a very high standard and very fairly priced and I would have no hesitation in recommending John for any plastering work.